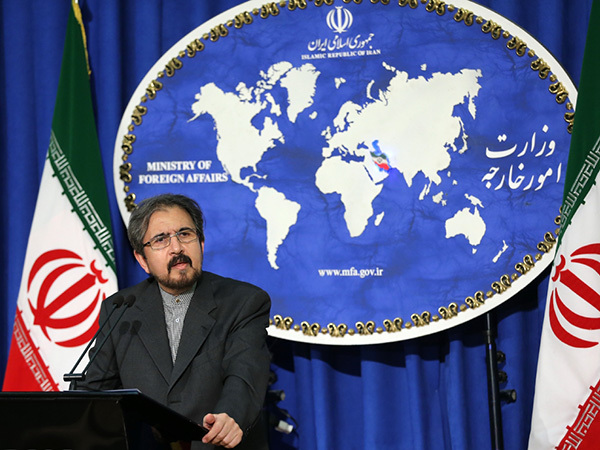 Iran’s Foreign Ministry Spokesman Bahram Qassemi dismissed as ill-advised, provocative and baseless the allegations of human rights violation in Iran made by a British official, saying the era of using human rights for political purposes has ended. Qassemi on Wednesday hit back at British Minister of State of the Foreign and Commonwealth Office Joyce Anne Anelay for her anti-Iran comments at the House of Commons, saying the “incorrect, ill-advised, provocative and interfering remarks” have been once again based upon inauthentic sources. Iran condemns the “biased and groundless” comments, the spokesman added, saying such stances by senior British officials will be damaging to the enhancement of Tehran-London relations. The Islamic Republic of Iran has always stressed that instrumental, and political… use of human rights in order to exert pressure on independent countries has become an old and useless method in the current era, he added. The spokesman also rejected the baseless allegations of human rights violation in the trial of a number of Iranian individuals, reiterating that Iran’s Judiciary works independently according to legal grounds. Qassemi then touched upon Britain’s “dark record” of human rights violation, saying it’s a pity that Britain portrays itself as an advocate of human rights and recommends other nations to respect it. The spokesman also highlighted a number of blatant cases of human rights violation by the British government, referring to lack of transparency in the trial of terrorism-related suspects, violation of rights of refugees, laborers, women and children, arms sales to Saudi Arabia, high rate of racist crimes in Britain, and its divisive policies towards the Middle East and the Persian Gulf for the purpose of destabilizing the region. Earlier this month, Leader of the Islamic Revolution Ayatollah Seyed Ali Khamenei denounced the British government as “the disabled old colonialist” and said it has returned to the Persian Gulf to exploit some regional countries and split up some others. It came after British Prime Minister Theresa May made anti-Iran remarks in a summit of the (Persian) Gulf Cooperation Council (PGCC) in Bahrain. May said at the summit that Britain would contribute to counteracting what she called “aggressive regional actions” from Iran, and unveiled plans for a four-billion-dollar military investment in the region for the next 10 years.